It’s hard to tell what exactly is happening with DC Comics movies. But another solid sign that stuff is indeed getting made is this quickie teaser trailer for Birds of Prey, the Harley Quinn follow-up movie. I am 100% in favor of doing a series of movies focusing on Margot Robbie’s Harley Quinn. That’s solid moviemaking right there! Those are our first glimpses at Huntress, Black Canary, Cassandra Cain, Black Mask and Zsasz, and they look good. Let us get our hopes up about Birds of Prey! And hopefully we’ll get a Harley Quinn/Poison Ivy movie down the line! What a lovely day! 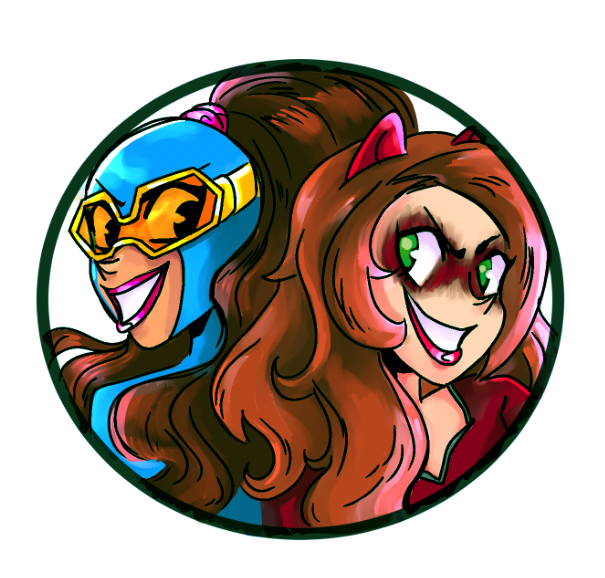 This week, we released the first two issues of Gamer Girl & Vixen into the wild! If you backed my Kickstarter, you’ve been sent your digital copies! People are reading and loving our little comic, and I’m on Cloud 9! Hopefully I’ll be able to share some good reviews coming up. If you missed the Kickstarter and would still like to read the comic, stay tuned! We’re working to either get it up on Comixology or sell it ourselves! As for regular comics, we’ve got a pretty OK pile this week. None of my favorites came out, but we’ve still got some good options from DC, Marvel and beyond. 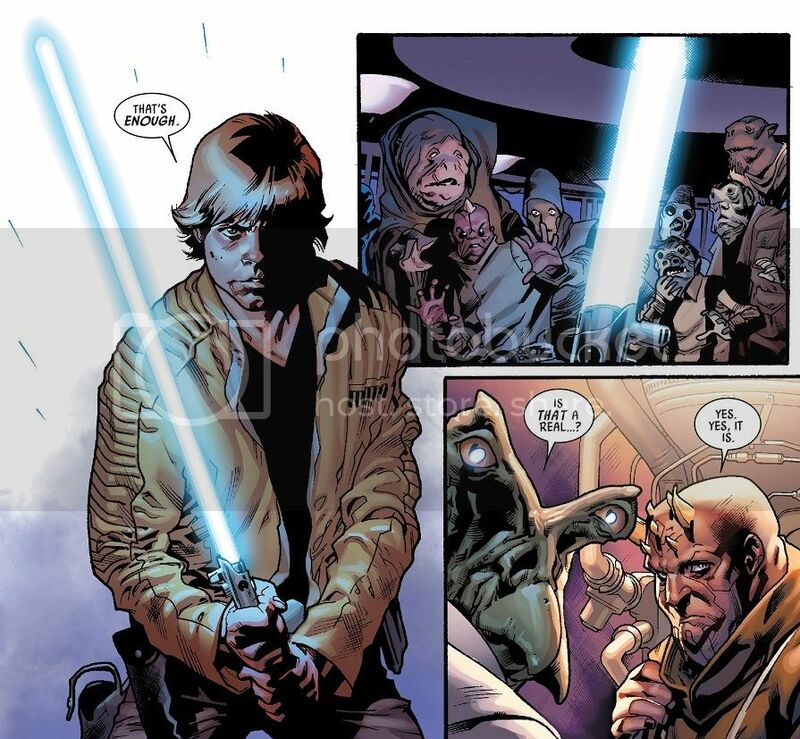 Comic Book of the Week goes to Star Wars #8 for the phenomenal introduction of Stuart Immonen on art. Over at Word of the Nerd, I picked up the first issue of the House of M tie-in to Secret Wars, and I’m pretty sure I’ve lost all reason to care about these tie-ins anymore. This feels like it’s going on forever. The issue itself was pretty standard nothingness. Competently made, but utterly worth less than nothing. Oh well. Comic Reviews: Black Canary #3, Power Up #2, Robin: Son of Batman #3, Secret Six #5, Silk #6 and Star Wars #8. Ant-Man was awesome! I loved it! After all these years, I got to sit down in a theater and watch Ant-Man, and it lived up to all the glorious hype! Go see it! I’ll try to have my full review up later today. As for comic books, we’ve got a great smattering of books this week. Comics like Kaijumax and Black Canary continue to impress, while Secret Six finally starts to feel like the old, beloved comic of yore. That’s a damn good thing. Lumberjanes and Harley Quinn continue their hot streaks, but there can be only one Comic Book of the Week. 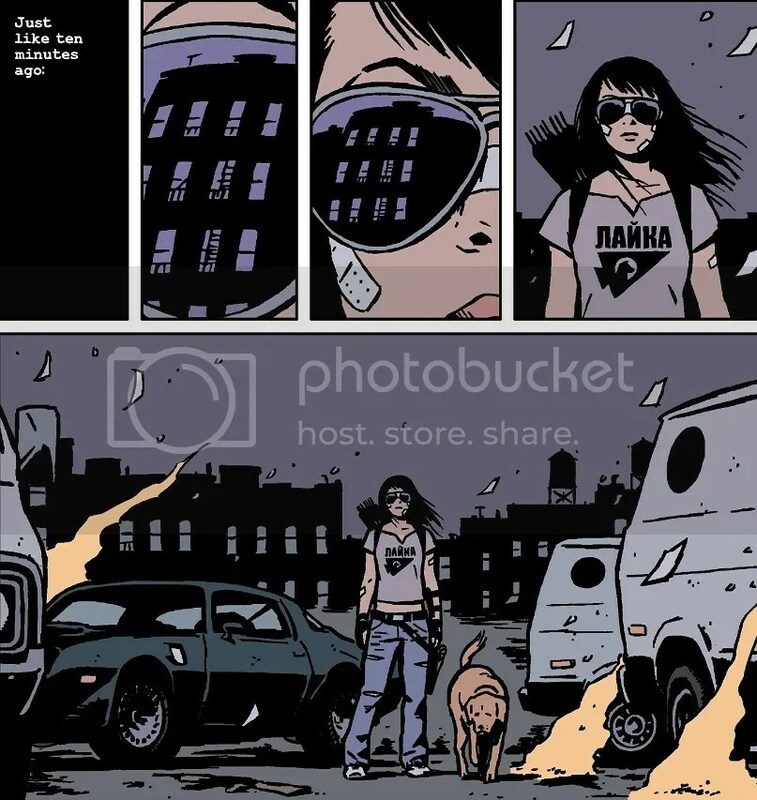 Hawkeye #22 finally finishes off Matt Fraction’s now-legendary run! That comic is all style, substance and so much more. I need to start buying those trades ASAP so I can sit down and re-read the whole thing over again. Over at Word of the Nerd, I continue my Secret Wars coverage with a review of Captain Britain and the Mighty Defenders #1. I was attracted to the comic because I’m a huge Faiza Hussain fan, but other than a spotlight for her awesomeness, the comic is middling at best — though if you’re a fan of Judge Dredd, it’s not to be missed. Comic Reviews: Black Canary #2, Harley Quinn #18, Hawkeye #22, Kaijumax #4, Lumberjanes #16, Robin: Son of Batman #2, Secret Six #4 and Silver Surfer #13. Sometimes I just can’t help myself. There are weeks when I tell myself to keep the Hench-Sized reviews under control, that you fine readers can’t handle me rambling for so long and so intensely! But this week was filled with great comics! DC continues to pump out some fun titles with their rebranding, and a few of my favorite indie comics were in my stack. This was a good week. Comic Book of the Week was a hard one, but I think I’m going to give it to Justice League of America #1. The new series is written and drawn by Bryan Hitch, and is a great example of DC’s new style. Bucking the constraints of up-to-the-minute continuity, the new Justice League is just a straight forward, fun adventure by my favorite comic book artist. It’s a good launch. Unfortunately, Marvel Comics remains mired in Secret Wars. Even the great Ms. Marvel is now tied into that event. I skipped that new issue this week before it’s basically just Kamala Khan running around trying to be a hero while the world falls apart. The next issue is the one to watch out for, when she finally teams up with Captain Marvel! Speaking of Secret Wars, I took a look at Squadron Sinister #1 at Word of the Nerd. It’s pretty much a dud. Comic Reviews: Black Canary #1, Justice League of America #1, Kaijumax #3, Lumberjanes #15, Prez #1, Robin: Son of Batman #1 and Secret Six #3.